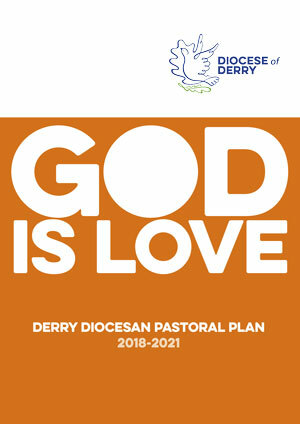 Bishop McKeown has announced the publication of a Diocesan Pastoral Plan for 2018-2021 in the diocese, 'God is Love'. The Plan is the result of a two-year programme of work by the Interim Diocesan Pastoral Council, consisting of 14 men and women - laity from across the diocese, Religious and clergy. It is a first step in developing a co-responsible Church at parish and diocesan level, identifying paths that might lead to solutions to the many challenges we face, including the practical need to plan for the times when priests will not be present in the way that they have been up to now. A number of printed copies of the Plan have been received for the parish and a PDF version is also available to view and download on the link below. The main work of implementing the Plan will begin after the summer break. Bishop McKeown asks for your prayers and support, in the knowledge that everything done in faith and love will bear fruit in God's own good time. To view or download the Diocesan Pastoral Plan click here.